Newcastle youngster Stephen Craigie turned professional in the summer of 2008 and has now completed his first season on the main tour. Despite having a highly impressive junior career behind him however, the main tour proved to be a much tougher test for Stephen and he failed to retain his place for a second season. Taking up snooker aged just six, Craigie made his first century break within two years and aged 12 represented England for the first time in an under-14 international match. Winning 17 of his 18 frames his potential was clear to see and he soon became the youngest ever winner of a pro-am in the North East at the same age. His reward for this was to be awarded the Rising Star Award by former England football manager Sir Bobby Robson two years later. 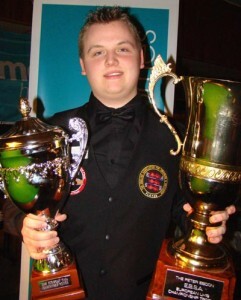 Stephen’s greatest success so far though was to win the 2008 European Under-19 Championship in Scotland which earned him a place on the main tour for 2008/9. Scoring heavily throughout the week Craigie advanced through the group stage with seven wins from seven before entering the knock-out stage. His biggest scare came in his quarter-final match which he snatched 5-4 with a cool 65 break against Stuart Carrington, but he stormed through his semi before taking the title with a 6-2 victory over Anthony McGill. Other notable achievements include finishing top of the Premier Junior Tour Series, winning two of the six events that season including one in Bristol. His best result in the 2007/2008 PIOS was a semi-final appearance at event six where he came unstuck against the number 1 player Kuldesh Johal, losing the match 5-0. 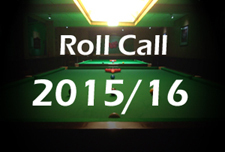 Like Johal though he was to find himself on the main tour for the following season as described above. Having lost his opening pro match to Jamie Jones, Craigie went on a great run in the Shanghai Masters qualifiers, progressing to the third round with wins over the vastly experienced Stefan Mazrocis and Irishman Joe Delaney. Ultimately he lost out to Redcar’s Mike Dunn, but he had at least gained some valuable experience and showed that he can compete at this level. Unfortunately for Stephen however, round one exits in both the UK and the World Championship were to prove costly and he failed to retain his place on the tour for a second season. He was well-placed going into the season-ending World Championship as he was just inside the top eight on the one-year list, but a 10-5 defeat to Lee Spick ended his hopes and ensured that he would finish down in 79th place on the final rankings. During the 2010/11 season Stephen came close to regaining his main tour place on two occasions, firstly at the World U-21 Championship in Ireland. Having recorded eight centuries as well as a series of other big breaks, he was ultimately to lose out 7-6 to his younger brother Sam in the semi-finals. At the end of season Q School Stephen was to start slowly with opening round defeats in the opening two matches but the third was to be much improved as he defeated Ben Harrison, Michael Wasley, Alex Borg and Zhang Anda to reach the final round. 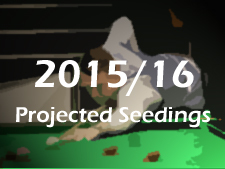 Unfortunately for Stephen however he was to suffer disappointment there, losing 4-2 to Grimsby’s Stuart Carrington. 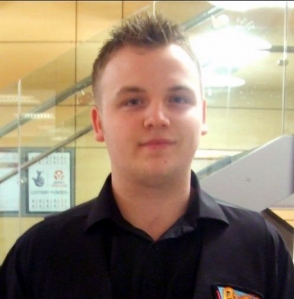 Competing during the PTC series as an amateur, Stephen claimed a number of notable scalps among the professional rankings including Dominic Dale, Alfie Burden, Michael Holt, Ben Woollaston and Andy Hicks. Despite those wins however, he was unable to perform strongly enough to earn a main tour nomination for 2012/13.